This is the last year in which a ’round pound’ will be minted, before a new 12-sided £1 coin is introduced by the Royal Mint in 2017 – a move that made headlines when it was first announced, but has largely vanished from the news spotlight ever since. A 12-sided coin is harder to forge, and is being introduced to cut down on the number of counterfeit coins in circulation, which in principle is good news for anyone who operates coin-op machines, from fruit machines to pool tables. But it has raised certain concerns in the coin-op industry too, not least because a 12-sided coin (unlike the curved seven-sided shape of the 20p and 50p piece) doesn’t have a constant diameter – it measures a different width across its centre point depending on the line you take from corner to corner or edge to edge. So what does this mean for machine operators – which include fruit machines and pool tables on leisure premises, and also other coin-op equipment like parking meters, vending machines and so on? The short answer is that most machines can be upgraded relatively easily, and at a fairly low cost per machine, to ensure that they can continue to be used from 2017 onwards when the new £1 coins enter circulation. Modern coin-op equipment may only need a software update, whereas older equipment may need to have its coin validator replaced entirely to allow it to continue being used. Of course not all coin-activated machinery uses £1 coins; pool tables priced at 50p per game might not need any attention at all, depending on the type of coin validator that they use. At Manco Automatics we are keen to ensure none of our customers are disrupted by this change. 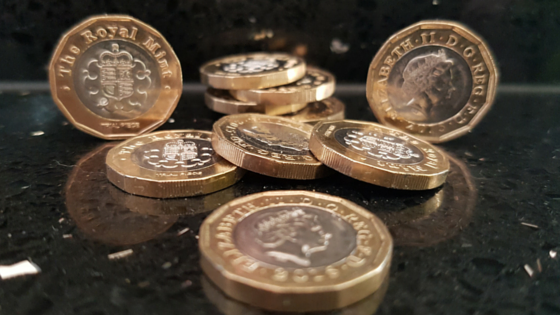 We anticipate that most of the transition work can be carried out even before the new £1 coins are minted, without leaving equipment out of action for the remainder of the ’round pound’ era. We are particularly keen to use this opportunity to upgrade slot machines’ coin validators in a more general sense, and will be retrofitting note slots in many cases too, allowing higher-value paper money to be fed in for game credit. This may prove to be especially lucrative among customers who find it hard to start using the unfamiliar shaped pound coin when it is first introduced.